Obtaining high-quality foods that are not produced with many fillers or artificial colors and flavors can be difficult. Nyos now has organic balanced food that is perfect for any saltwater fish. The medium-sized soft pellet (0.9mm - 1.5mm) is the ideal size for most clownfish, tangs, blennies, damsels, angels, or other fish that do not have a small mouth. 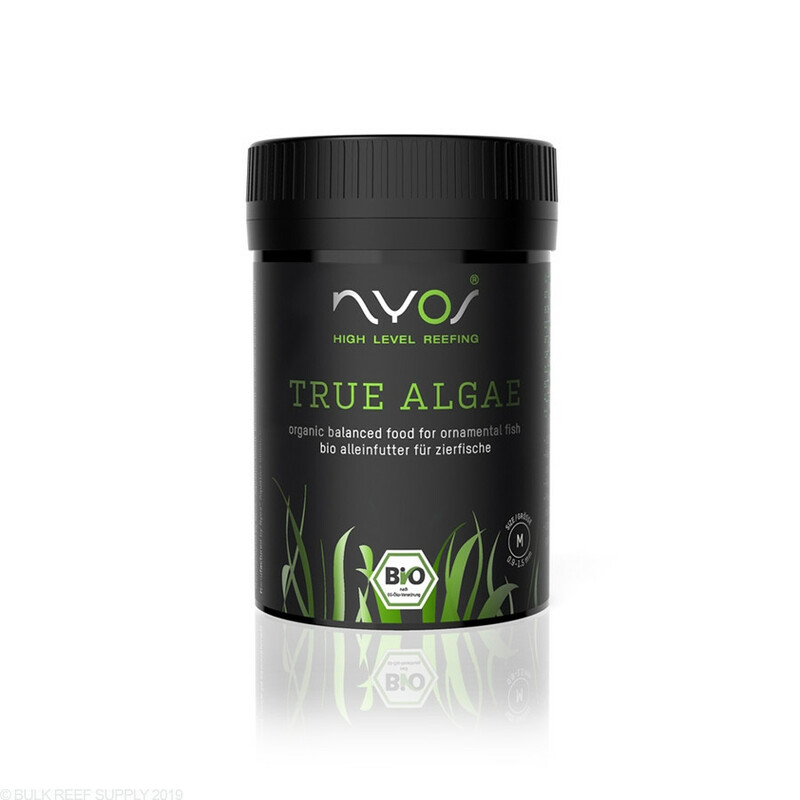 Nyos True Algae is made organic farmed algaes (wakame, chlorella, spirulina) making it truely unique, and impossible for fish to pass up! It is suggested to feed as much as your fish will consume in a 3 minute period of time up to 3 times a day. 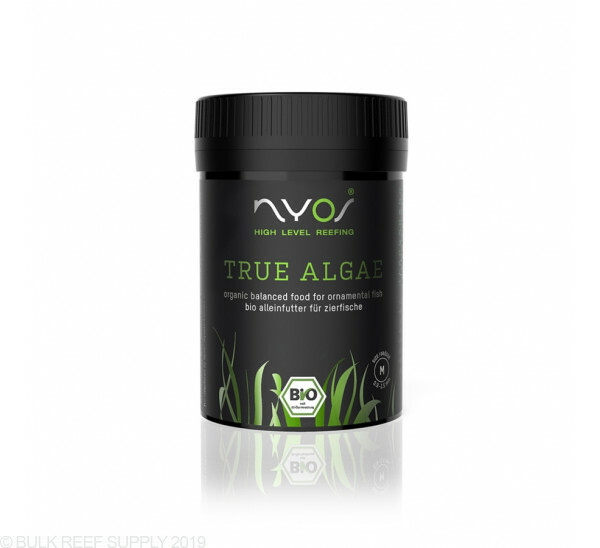 Nyos True Algae should be used in conjunction with other Nyos foods for a healthy balanced diet. Awesome product! My fish loved it! Even my mandarin’s ate a few pellets. My goldfish especially love it.